​"Milwaukee's Struggle for Fair Housing: The History and the Poetry"
justice issues. She volunteered to work on a 1965 voter registration campaign in rural Alabama. She participated in Milwaukee’s fair housing marches and later married civil rights leader, Father James Groppi. Her book, Two Hundred Nights and One Day, tells the story of the 1967-68 Milwaukee fair housing struggle and was awarded a bronze medal in poetry in the 2009 Independent Publishers Book Awards. 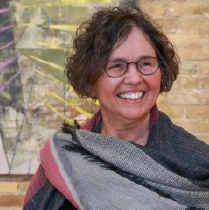 As part of the 50th anniversary honoring Milwaukee’s fair housing marches, Dr. Rozga served as editor of a poetry chapbook anthology, Where I Want to Live: Poems for Fair and Affordable Housing. "The History and Worship Style of the African American Church"
As Executive Director of Sacred Music at Trinity United Church of Christ in Chicago, Mr. Bryan Johnson researches, plans, consults, implements, and monitors the ministry of music for the church, supervises the performance of the music staff and musicians, and ensures the development of their musical skills and talents. He joined the Music Department of Trinity UCC in 1996. Over the years, he has been the Director of the Imani Ya Watume Choir, the Praise Team, and since 2011, the Sanctuary Choir. Mr. Johnson received a Bachelor of Arts from Chicago State University and a Master of Music Education from VanderCook College of Music. He has been married to his wonderful wife, Deacon Joi Buchanan-Johnson, for 23 years. His family has roots in Jamaica, Barbados, and Brazil. "Our Youth, Our Future: Racial Disparities in the Criminal Justice System"
"The Hidden Impacts of Segregation In Wisconsin: Why It Matters to Us All"
Book will be available at prior events. ​America's Black Holocaust Museum and Grace UCC in Milwaukee. ​Our Church's Wider Mission Fund.